Obituary for Readus Metcalf | House of Wheat Funeral Home, Inc.
METCALF, Readus, age 81, of Dayton, OH, born in Hamilton, AL, departed this life October 31, 2018. 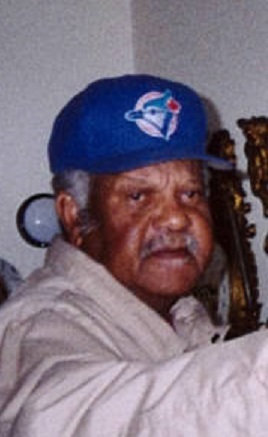 He is survived by his wife of 50 years, Glendoris Metcalf; daughter, Janice (Robin) Tigler; granddaughters, Metia Tigler and Alexandria (Nelson) Shendow; great grandchildren, Koah, Cameron and Connor Liechty Tigler, Adrianna Shendow; sister, Juanita Metcalf; brother, Ralph Metcalf; brother-in-law, Melvin Smith; sister-in-law, Pastor Sandra Bryant; a host of nieces, nephews, cousins and friends. Funeral service will be held 11 am Wednesday, November 7, 2018 at the House of Wheat Funeral Home, Inc., 2107 N. Gettysburg Ave. Pastor Sandra Bryant officiating. Visitation 9 am Wednesday at the funeral home until time of service. Family will receive friends one hour prior to service. Interment West Memory Gardens.